In the ten years since Katrina, New Orleans has been remade into a neoliberal playground for young entrepreneurs. This week marks a decade since Hurricane Katrina devastated New Orleans. In those ten years New Orleans has, with unprecedented swiftness, become the most neoliberal city in the United States. This development is not entirely surprising — one need only look at the harrowing weeks and months after the storm to see that reconstruction would be used to implement a series of revanchist reforms that further deregulated labor, undermined unions, diminished educational and employment opportunities for working-class people, and excised public and affordable housing from the speculative urban landscape. Members of the redevelopment team hurriedly pitched strategies to “reduce the city’s footprint” through planned shrinkage and more “responsible” zoning practices — strategies that would have virtually erased many of the city’s low-income black neighborhoods. Long before the floodwaters had receded, any chance of progressive reconstruction — rebuilding as a restorative public works program aimed at meaningful redistribution — was stamped out by policy wonks and TV commentators, liberal city councilmembers, feisty NGOs, speculative real-estate developers, and boutique hotel owners. At the same time, it would be a mistake to view the crisis — brought on by the state’s gross mismanagement of Hurricane Katrina — as inaugurating something entirely new. Rather, the crisis expanded the ability of city elites to rapidly entrench policies and governance models that had been on the docket for years. For nearly four decades, New Orleans governing officials have exploited intentional loopholes in federal urban aid policy to reorganize the city around private interests at the expense of public benefit, deploying decentralized forms of urban aid, such as Community Development Block Grants, as a mechanism to leverage speculative growth. Since the 1970s, successive mayors have diverted federal dollars earmarked for low-income neighborhoods to finance hotels, tourism centers, and corporate headquarters, legitimizing their actions as a response to federal retrenchment or as facilitating trickle-down growth. Investing in the highly uneven tourism sector, city officials and their private sector beneficiaries pushed for containment, and then removal, of the city’s working class from “growth areas.” In response, public housing residents and local activists pushed back with some, albeit limited, success. But after Hurricane Katrina the privatization push gained momentum. With the opportunity to enact proposals that had circulated since the mid-1980s, the city council voted unanimously to demolish 4,500 units of traditional public housing. In just over a decade — from 1996 to 2007 — the city managed to close 85% of the city’s public housing, adopting a system of “mixed-income” projects and vouchers instead. While liberals touted it as “deconcentration,” the removal project effectively (and efficiently) displaced low-income residents from areas ripe for profit-making. As a result, 16,000 families remain on the waitlist for subsidized housing. It was the same story with public education. Within the first few months after the storm, nearly 7,500 predominantly black public school teachers were unilaterally fired, with no process or explanation, the first shot in a relentless battle to dismantle the city’s traditional public schools. In the next few years, education profiteers, led by Teach for America (TFA) and school privatization guru Paul Vallas, turned New Orleans schools into the first all-charter school system in the nation. Today, 91% of all the city’s schools are charters. Though boosted through a language of choice and effectiveness, the charters provide neither. Public funds pay for a system that lacks oversight, transparency, and funnels millions of dollars to privateers, who pocket salaries upwards of $1 million. As public resources have been stripped away piece by piece, the rebuilding of a corporate infrastructure has occurred with remarkable speed. Within months of the storm, public monies flowed into downtown revitalization with abandon, like the $471 million in public dollars spent repairing the Superdome. The storm’s wake cleared the way for developer Sean Cummings’s riverfront redevelopment project, funded through federal block grants to the tune of $30 million. Sold to the public as a project that would benefit everyone, the upscale park, which hugs the Mississippi River from the edge of the tourist-happy French Quarter to the Bywater, happens to run alongside a series of Cummings-owned properties that have appreciated in value due to its presence. More recently, federal aid dollars have been used to reinvent a neighborhood fish market as a privately managed, upscale food court in the working-class neighborhood of St Roch. In a place where cultural authenticity has been traded and sold at a premium for nearly a century this phenomenon seems almost natural. Tourism is central to the New Orleans’s economy, and the mythologizing of local culture — of brass bands, gumbo, and Mardi Gras Indians — has long been cultivated for the market by public-private corporations. In the years after Hurricane Katrina, cultural commodification has been extended to the business of rebuilding and preserving the city’s unique customs. Transplant communities, exemplified most conspicuously by Solange Knowles (Beyoncé’s younger sister), have effectively taken up the mantle of a grassroots cultural reclamation: renovating historic shotguns, opening stores with local wares, and engaging the tradition of second lines for private events. The appeal of this vibrant rebuilding effort is in its reproduction of a bourgeois bohemian paradise. However, excavated cultural authenticity offers less of an opportunity to rebuild the working class it claims to reflect (that would take jobs, housing, and a commitment to public services), and more a means to commodify culture anew. Such activities also belie the public-private collusion — incentivized and exclusionary zoning, aid that privileges homeowners over renters, and public funds diverted to speculative projects — that produces the culture that is then articulated as spontaneous and authentic. In new clothing and with new bedfellows, reconstruction has mobilized community-oriented, artist-centric projects as competitive market assets with blazing new vigor, earning the city a variety of new monikers from Hollywood South to Brooklyn South, which speak to the shifting demographics, swanky restaurants, expanding film industry, and yoga studios that now crowd the city streets. One of the more noteworthy collaborations is between Cummings and graffiti artist Brandan Odums. Involved with a series of projects, the pair’s most recent proposal is to build a multiuse complex in the Bywater that will house some 220 apartments (some apartments will be classified as affordable housing, enabling eligibility for urban aid dollars), a coffee shop, hip restaurants, and, of course, a studio for Odums. Odums’s last set of murals took over a private affordable housing complex scheduled to be demolished and rebuilt as a sports and entertainment bar in the working-class neighborhood of Algiers. While presented as spontaneous grassroots resistance artist, Odums has played the role of authenticating voice for market forces in his partnership with Cummings. In a neighborhood swiftly being overrun by gentrification, these types of projects maintain the irony of facilitating further displacement of black working-class residents. Despite its nods to affordable housing, the proposed project would increase rents for residents. In 2000, 38.6% of Bywater residents lived in poverty; by 2010, only 21.3% of residents were under the poverty line. The declining poverty rate does not speak to some miraculous redistribution of wealth to working-class families, but rather to their forced exit amid a corresponding influx of high-income residents. 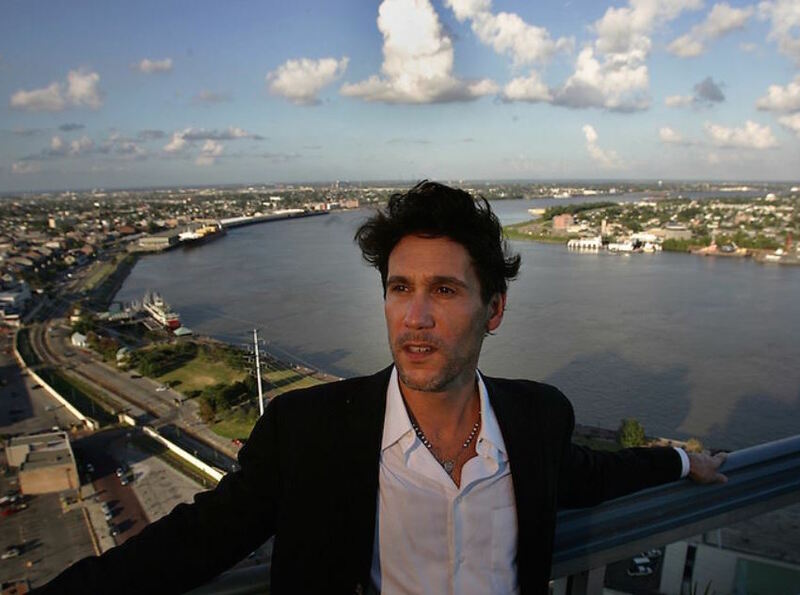 By 2010, nearly 23% of Bywater residents made incomes of $75,000 or more. There are clear lines connecting the Big Easy’s newfound “spirit of entrepreneurialism” to its post-Katrina restructuring, particularly the takeover of the city’s public schools. The US Chamber of Commerce has estimated that nearly half of all startups in New Orleans were founded by former TFA fellows, part of the nearly 30,000 new residents of the city. College-educated millennials fresh off their two-year tour of what one TFA’er called “an alternative pathway to entrepreneurialism” have opted to stay and remake the city in their own image. For young professionals entering the workforce amid the worst recession in decades, the city has accommodated entrepreneurialism on the cheap. Recovery policies that privileged middle-class homeowners and businesses over renters and low-income property owners discouraged the return of the city’s working class while simultaneously making housing affordable to well-paid millennials. The city has streamlined business permits, and startup costs remain 30 to 40% cheaper than in New York or San Francisco. The public is paying a steep price to bolster this new entrepreneurialism. To boost tech investment New Orleans’s city government has formalized its commitment to cluster economies, primarily in tech startups. Digital media companies can receive tax credits that cover 25% of production costs and up to 35% of payroll expenses. Federal dollars support conferences and hackathons aimed at attracting high-skilled workers, while the Economic Development Administration has poured over $1 million into Idea Village, an incubator for startups. A sort of second coming of the Sunbelt, these credits coalesce around a broader spectrum of abatements, tax packages, zoning exceptions, and city-sponsored land swaps, all which city officials have extended with alacrity. But whatever the self-important hype about the virtues of the new economy, the combination of startups and (repackaged) real-estate speculation has helped only a few. For most of New Orleans, the construction of a creative economy has been a nightmare. Such economic development strategies entail devoting public resources to amenities for upper-income enclaves to the detriment of working-class dwellers. For example, while bus service continues to operate at just 35% of the pre-Katrina level, the tourist-and investor-friendly streetcar service has been fully restored, with plans to extend it into gentrifying areas of the Marigny. These new economies don’t just subsidize highly uneven industries (i.e., hotels, restaurants) and encourage rent hikes. They also rely on an increasingly precarious labor market, and erode support for state-sponsored redistribution and state responsibility to urban equity. Even companies with a social-entrepreneurial mandate, like Propeller — which incubates startups that claim to address issues of food insecurity and educational equity — operate under a neoliberal framework where inequality is best addressed by the private sector, thus further undermining state-driven solutions. New Orleans’s new economy, which rests on an unstable model of tourism and contingent professional labor, does not and will not benefit the city’s working class. Like most cities around the country, job insecurity, union busting, and state-orchestrated dismantling of social and public services have become status quo in New Orleans. Massive and successive layoffs to city employees, many of whom were already at or near the poverty line, have occurred amid the city’s entrepreneurial boom. Nearly 400 state employees found themselves out of work this past year, and dozens of school board employees will receive pink slips by the end of the summer. Official unemployment rates in New Orleans hover at just over 6.5% — but for black workers that rate is estimated to be much higher. A full 27% of families and 39% of children live below the poverty line, and in 2014, just 4.5% of the city’s workforce was unionized. In numbers that have changed little since the 1970s, the two lowest earning quartiles (40% of the labor force) make just over 7.5% of the city’s total income. The radical downsizing of public employment and more stable blue-collar jobs in favor of an economy clustered around creative enterprises progressively narrows employment opportunities for working-class residents, who will be forced to rely on service and tourism sector jobs — both known for low wages and just-in-time scheduling practices. This manifestation of neoliberal expansion also diminishes the political and economic power of working-class residents. Start-up culture condones and encourages the anti-union, non-salaried ideology already prevalent in tourism-driven economic models, exalting job instability and impermanence as the new economic model of growth. This is the real legacy of post-Katrina reconstruction. As education profiteers, speculative developers, and tech companies continue to gain in both capital and power, their success and maintenance necessitates the subjugation of working-class residents and regressive use of public resources. The creative economy only exacerbates the impact of revanchist policies that undermine social welfare and public employment. In aiming to finish its nearly half-century-long project of making New Orleans’s workers invisible, the urban elite has reclaimed its place on the crest of the city’s new sinking levees. Megan French-Marcelin is a twentieth-century historian of urban policy and planning. Her work is primarily concerned with the origins of neoliberalism in the marriage of federal urban aid and local economic development.